There’s nothing really better than a good garlic bread to have with chili, spaghetti, soups, meat dishes or just about any other good meal! Of course I would not have a cheesy garlic bread with Chinese/Japanese food but just about any other good old American home cooked meal. 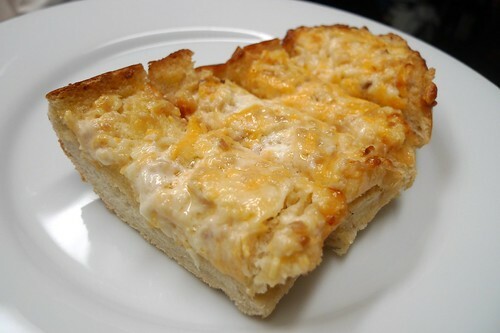 If your tired of buying a stale loaf of garlic bread from the store, you have to check out this garlic cheese bread recipe . . .